You may have noticed recently a rise in the popularly of the Art Deco visual style. Art Deco originated in the 1920s, a time of elegance, wild parties and vibrant lifestyles. The style has re-emerged as a fast growing trend for weddings today due to the recent release of The Great Gatsby movie and I couldn’t wait to design a wedding stationery collection around it! After researching the style of both The Great Gatsby and Art Deco as a whole, I noticed one of the main characteristics is the extravagant ornamentation, sharp shapes, bold lines and geometric patterns. Keeping these key visual elements in mind I created striking corners and borders surrounding the text. Another common design element in the theme is a prominent use of symmetry. This inspired me to create a symmetrical pattern to add a finishing touch to the collection. This use of symmetry also helped tie the stationery together when printing this pattern on printed.com’s newly introduced belly bands, and will give the guests the extra ‘wow’ when they receive them. For me one of the most important design elements is the font, and I love experimenting with typography in my work. For this collection I have used a strong contrast between bold and romantic typefaces which embodies the vibrant Gatsby style. The colour scheme I have chosen is a neutral background with an emphasis on gold and bold black highlights, which characterises the Gatsby glitz and glamour. I have used the same colour scheme throughout the collection and co-ordaining on the day stationery. One of my favourite parts of designing is the consideration of the card stock. This is something I always have in mind from the start of the design process. 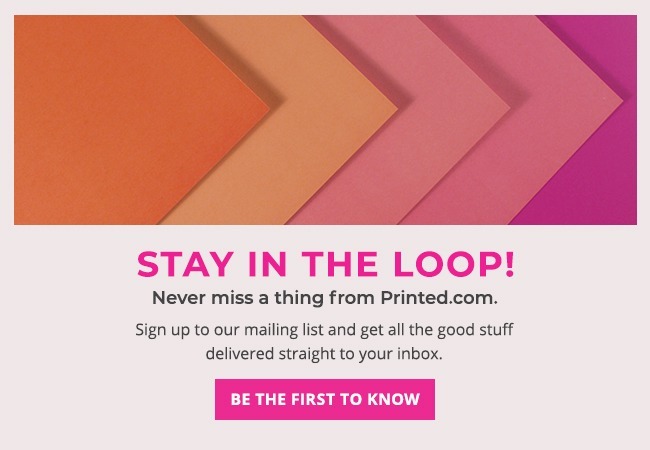 printed.com has a range of luxury papers in their wedding collection and each matches a style or theme best suited for your design. For this collection I wanted a luxurious feel, with bright contrasting colours, so I chose the silk card and the extra added luxury of gold envelopes! If you’re having a Gatsby-inspired affair then this collection captures the style and spirit of the theme, giving your guests a glimpse of what’s to come on the big day! You can find more of Helen’s work at www.helenscott.co.uk or read our step by step guide to creating wedding stationery here. Very helpful, thanks Helen. Really love your designs. Didn’t think this would work but it does! !